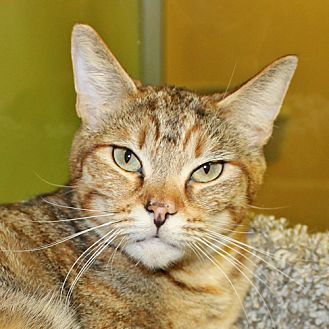 ARF | Cats | I'm Honey, Adopt Me! Four-year-old Honey is a gorgeous lady who is appropriately named, as she has honey-colored streaks through her beautiful tabby coat (she seems to know her name, too!) Honey is a sensitive and sweet girl who appreciates a soft touch- she loves gentle petting and conversation. She will be a wonderful companion for your calm household, where she is going to blossom into your best friend! Honey's adopter must be at least 18 years old with valid-state issued identification. ARF encourages family members to participate in the adoption process, especially children. Please visit ARF's web site for information on adoption and to view more great cats. 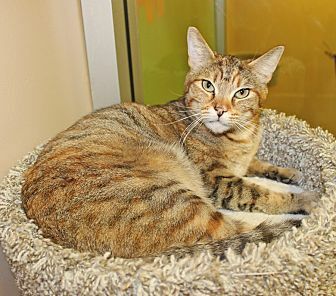 [description] => Four-year-old Honey is a gorgeous lady who is appropriately named, as she has honey-colored streaks through her beautiful tabby coat (she seems to know her name, too!) Honey is a sensitive and sweet girl who appreciates a soft touch- she loves gentle petting and conversation. She will be a wonderful companion for your calm household, where she is going to blossom into your best friend!